During Mrs. Leah Seabrook-Rocha’s second period class, Sydney Johnson works on her latest assignment utilizing the AMSCO textbook and her unit overview sheet. Photo by Daya Khunkhun. Frantically rushing to turn in a chapter outline before 11:59 p.m. is an experience many AP World students can relate to. Homework can easily pile up and in order to handle the class, students must learn essential time management skills. In class, students can expect a lecture on the focused event of that day as well as one-to-two daily assignments. Chapter summaries are due every Friday and take anywhere from two-to-four hours. “At first, the class was really overwhelming with all the outlines and quizzes every week, but I got the hang of it. 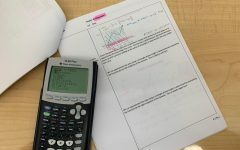 It took me a while to learn how to study for stimulus based test questions and writing prompts, which really helps in future AP classes,” Kareena Patels said. The class is available for sophomores who passed with a grade of “B” or higher in advanced geography or grade of “A” in world cultural geography and teacher approval. “AP World is one of the most difficult courses you can take as a sophomore. It requires quite a bit of studying and the exams are much different than anything most students have encountered thus far. You cannot learn and dump in this class – everything is fair game on the exams in class and at the end of the year,” Seabrook said. The course divides world history into different time periods: foundations, classical, post-classical, early-modern, modern, and contemporary. Students will develop an understanding of the distinctive events and social behavior in the evolution of the world and man. Like other AP classes, AP World History provides a GPA boost and potential college credit if a 3 or higher is earned on the exam. 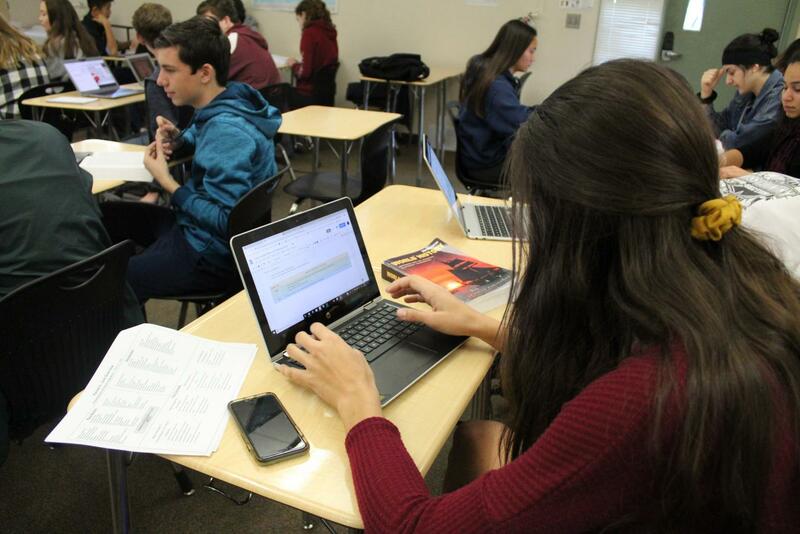 “The stress level is pretty much what is expected of an AP class. It’s definitely challenging but more manageable than I thought it would be. Personally, I really enjoy the class because of Mrs. Seabrook. 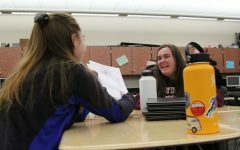 She really cares about her students and making sure they have a good time while in her class in addition to giving us the right resources to learn and retain the information,” Sydney Johnson said. According to Seabrook, grades in this class is evenly distributed into thirds, with one-third getting A’s, one-third getting B’s, and the last third with C’s. “The unit tests got harder and harder as the year went, which made me question whether I’ll pass the AP exam. 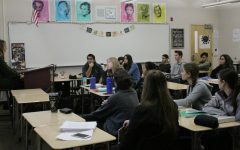 Seabrook really tried to challenge us in her class, and her unit tests were definitely a lot harder than the college board AP exam,” Patel said. Summer reading as well as a book review was assigned to provide students with a basic understanding of world history. Students are expected to arrive on the first day of class with the homework completed and ready to discuss. There is no assigned homework over any other breaks unless students want to work ahead. Seabrook recommends spending an hour each day studying.